Fresh River Press, 9780984552535, 191pp. 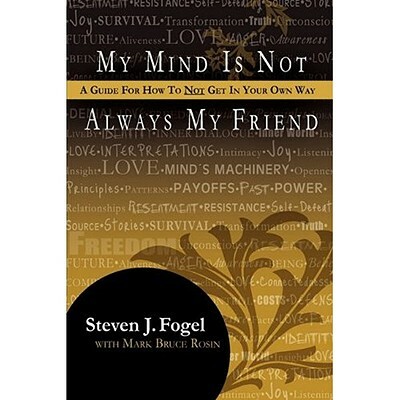 Your Mind: Friend or Foe? Your computer and your cell phone know what day it is. So why should your mind be living in the past? The greatest challenge we face is to rule our minds, lest they rule us without our even being aware of it. How do you become a conscious observer of your thoughts and stop past-based, self-defeating thinking from controlling your present? How do you make your mind your ally, your servant, and your best friend? Your mind is one of the most powerful tools you possess. Now you'll learn how to create the emotional life, the spiritual freedom, and the financial success you've always longed for. In this path-breaking new book, business leader Steven J. Fogel will teach you how to live "right here, right now," and how to live a fulfilling life as you reach new heights. "Fogel's guiding principles are right on target. Adopting them would have to improve your life." Larry King.